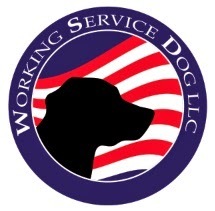 "Highly visible from a distance", "Bright bold patch", "Convenient ID Badge Holder"
These are a few of the compliments we have received for our new Premium Reflective Service Dog Vest. With its large service dog full access patch, zipper pocket, ID Badge and holder it is a great choice for year round wear for any climate. 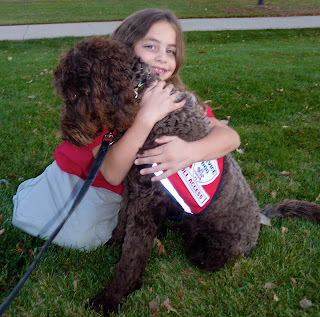 We carry Premium Full Access Service Dog Vests for both large service dogs and small service dogs. 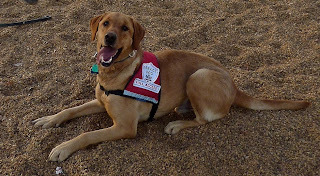 Enjoy some of the photos our service dog handlers sent in to show off their dogs.